There is a fine line between taking inspiration from iconic games and simply being derivative of them, with the latter being far more difficult to escape from. That does not stop many from attempting the inspiration balancing act, such as Rainbite Limited's newest adventure game Reverie. By basking within a familiar framework of two beloved Nintendo series (such as Earthbound's style and The Legend of Zelda's gameplay structure), one can only hope it stands out enough on its own without using 2D nostalgia as a crutch. Despite a bizarrely eerie intro involving treacherous brothers throwing one of their own overboard and then being cursed for an eternity as wrathful spirits, Reverie is nearly devoid of storytelling otherwise. The player is more or less told to spend their vacation on Toromi Island, which apparently means going on a The Legend of Zelda-styled adventure and putting vengeful spirits to rest, I guess. The character's impetus to go from one place to another is not exactly the most cohesive in Reverie. If there is one facet in Reverie that does flow together rather well at times, it's the 2D Earthbound-inspired presentation. There are a lot of neat little flourishes, such as the rustling of foliage, denizens that fidget around as well as turn to face you, and characters leaving imprints in the sand. It creates a homely feel to the starting town of Harikoa in particular, especially when using spare change to play a surprisingly solid shoot 'em up mini-game, or when encountering a nest of kiwi birds in its faux New Zealand. Honestly, if more of Reverie reflected this sort of localized quirk it would likely have been a better game, so it's a real shame that it accounts for so little of the overall experience. 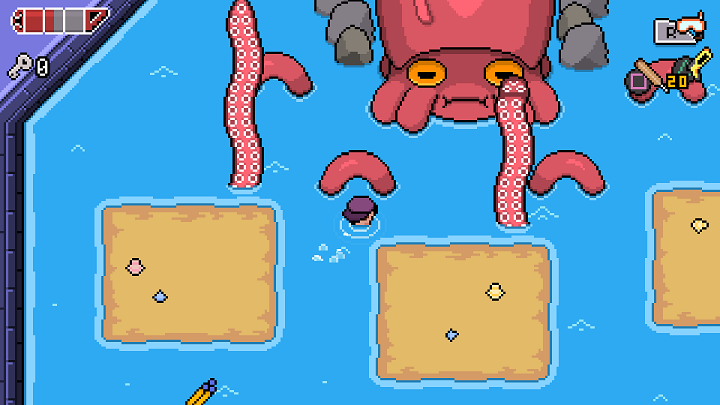 The fact of the matter is that Reverie eventually boils down into a wholly forgettable and derivative Zelda-like adventure. Most of your time will be spent in dungeons, which are -- ironically -- the least appealing part of the game, both from an aesthetic and gameplay perspective. If you have played just about any Zelda game, you already know the routine of gathering small/boss room keys in various rooms; which wouldn't be such a bad thing if the dungeons themselves weren't so bland and lifeless. Unfortunately, the frequent combat encounters -- easily the weakest aspect of the gameplay -- only adds insult to injury. Most of the key skills that are usually acquired through dungeons are just renamed Zelda abilities as well, further compounding its derivative nature. For example, instead of using a bow you will instead use a dart gun to hit targets on the wall, just like in a million Zelda games. Instead of Zora-themed swimming gear, you use a snorkel; and so on and so forth. 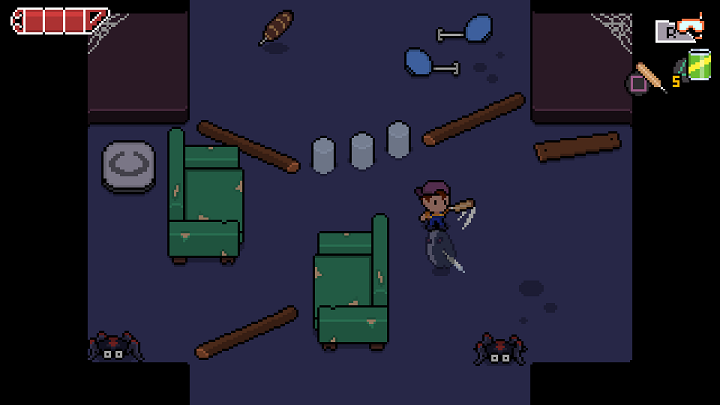 Despite their predictable usage, most key items are thankfully quite responsive in their puzzle and combat implementation, like the cricket bat feeling nearly one to one with 2D Link's sword swing in its immediate timing. Well, pretty much everything except for the final key item ability, at least. What happens to be the most creative ability in the entire game turns out to have poorly implemented physics. This is especially a shame since it also adds much-needed level design variety to the last main dungeon. Basically, the last story item is positional-based and if it drifts a tiny bit off it can leave several puzzle rooms in an unwinnable state. I found myself resetting it by killing the main character and... returning to the start of the dungeon. I originally thought it was poor execution on my end until I saw a couple walkthroughs online that had the same exact issue regarding necessary teleporting in what is otherwise a fairly easy game overall. And with nearly a quarter of my entire playtime spent in that dungeon around that mechanic made it have a significantly longer and more negative impact than it really should have. There are kernels of a much better game in Reverie that the pleasant visuals occasionally remind the player of that are, unfortunately, lost in such a shallow overall Zelda-like adventure. Sure, there are side activities outside of the main campaign's dungeon slog like collecting feather based unlockables but only a small handful of them are rewarding enough to even bother with like a couple off-the-beaten-path mini-games. But even then there is so little driving force to completion beyond the game just being short overall where even the dungeon unlocked after beating the main game is nothing but monster rooms for a game that already has so few enemy variety. There are plenty of games out there that take inspiration from older ones but very few of them that go beyond poorly shadowing significantly better games. 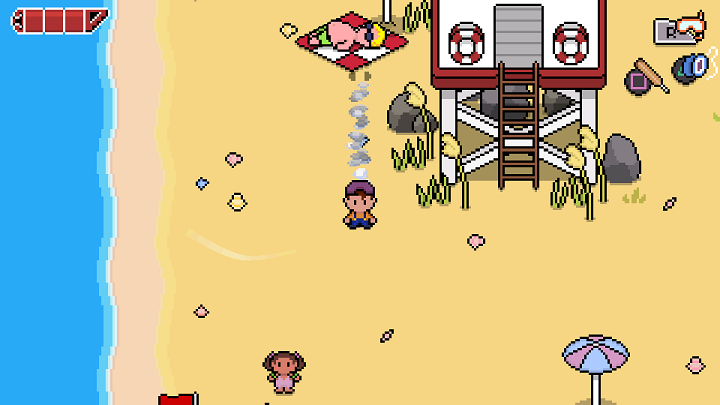 Unfortunately, Reverie serves as yet another example as this longstanding trend torn between its clear influences of Earthbound and, even more so, The Legend of Zelda, without a firm grasp on their actual strengths beyond a clean well-realized aesthetic. Reverie does little to offend but even less to really stimulate the player's memory of it because of its lackluster series of dungeons despite hints of a sweeter kiwi spirit. Disclosure: This game was reviewed using downloadable PS4/PS Vita code provided by the publisher.